Shitali means cooling. I thought it fitting to share this breath practice as the humidity of summer arrives. This pranayama practice is great for my MS students to help deal with the heat and, great for my prenatal students to lessen their nausea. My daughter and I routinely practice Shitali Pranayama when we are feeling nauseous from hormonal changes. Find a comfortable seat with the natural curves in the spine. 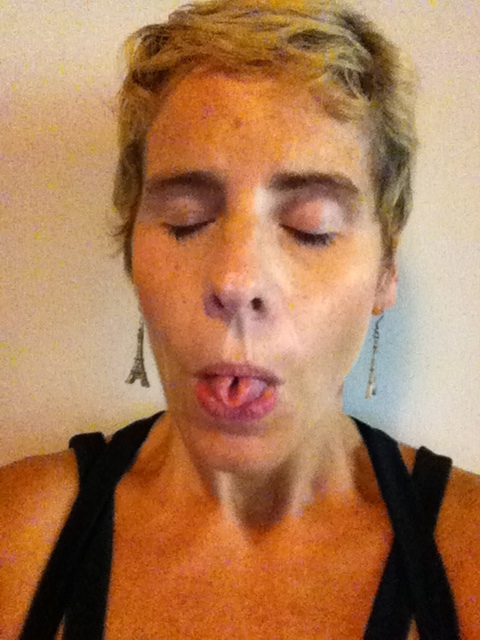 Stick your tongue out and curl it, if you cannot curl your tongue as this is a genetic trait, make an O shape with your lips. Inhale through the mouth, feeling the cool air flow over the tongue then, close your mouth and exhale through your nose. I’ve read that you should do 5 rounds of this breath in order for it to be effective and, I recently read to do no more than 10 rounds in one sitting. However, you can practice Shitali Pranayama several times a day. Note: Please discontinue practice if it does not feel right for you. Also, if you start to get a sore throat, gargle with warm salt water. Last night on my way home from work I received a phone call from my husband that he and my children were at the emergency room. My daughter had fallen and hit her head. They wanted to be sure she did not suffer a major concussion. I felt my feet on the gas and floor of my car and said a prayer. Walking into the hospital, I kept my awareness in my feet feeling the firm ground beneath each step. When I met up with my family back in the room I told my daughter to feel her feet and I placed my hands on her feet. She closed her eyes and her breathing slowed as did mine. When the doctor examined her they thought everything was mild but wanted to do an x-ray of her neck because of her neck pain. This entire experience was all new to my daughter, luckily, she has never had to go to the hospital. Once in the lab room for x-rays, I saw her anxiety increase. I once again told her to press her feet into the chair and she calmed. I was amazed how calm we both were throughout the entire ordeal. To all of our relief, everything looked good and we were sent home. Today she is feeling better and we are all grateful for this new day! Life is so precious! These simple words have been the most powerful tool in my life that I learned from my Urban Zen Training. Whenever I’m feeling anxious or scattered, I feel my feet. 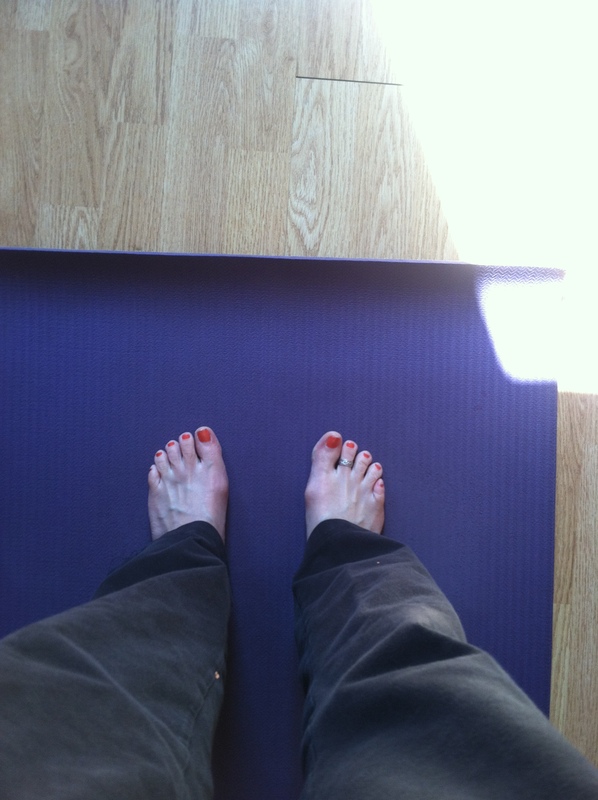 Whether I’m standing or sitting, I bring my attention to my feet and I really notice the firm ground under my feet. From this planted place, my breath naturally slows and my mind quiets allowing me to think clearer and to be present. When I’m working with a patient or client that is experiencing anxiety, nausea and or exhaustion, “feel your feet” are often the first words out of my mouth. When we feel our feet, we drop into our body and can immediately feel a sense of connection to the earth and a feeling of calm presence. Allowing us the ability to proceed with conscious awareness. Give this a try. I would love to hear in the comment section below how this affects your life.